Walk to any corner of the campus and you would not be surprised to find trash on the ground. People are littering as if there were no trash cans around the school. Everyday new articles of trash pop up around the campus. No one bothers to pick up at least one piece of garbage, civilians just keep walking over the trash. It has came to the point where Principal Martinez is prohibiting food in the courtyard. Our janitors, in which we are low in individuals, are having to work much harder for the same pay because of inconsiderate people. 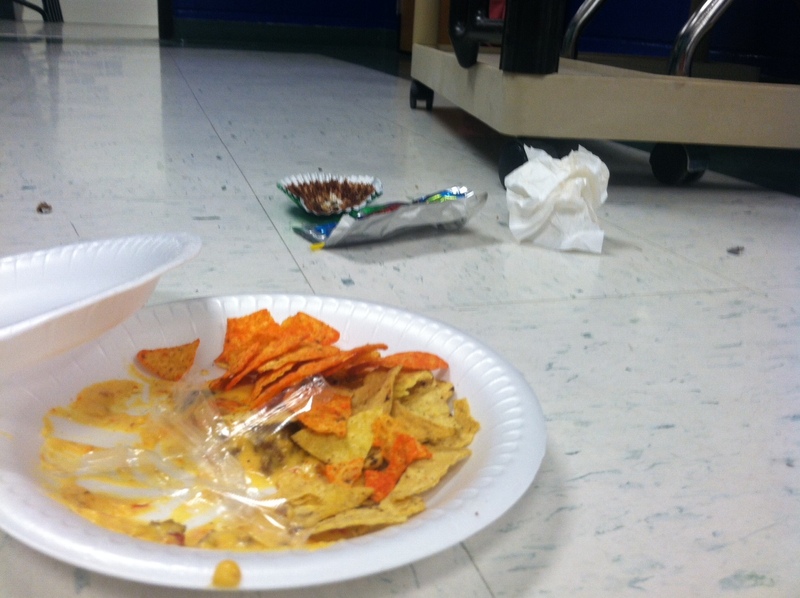 Throughout the school day we should all contribute to picking up trash in the lunchroom or one of the more littered areas to give a break to our janitors.